Since I updated FF to 3.0.9 (on Win XP), view source doesn’t work. 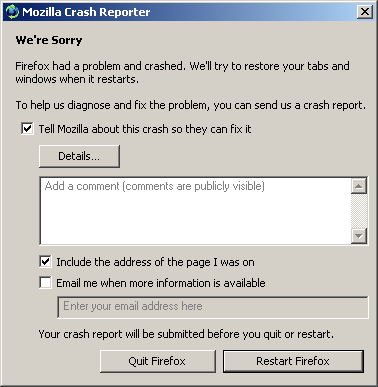 Even “firefox -safe-mode” crashes browser every time. Thank you Mozilla Html Validator plugin! Hope 10.000 error reports I sent will help you. Same here, if you’re using HTML Validator, update it to new version. yup, html validator fixes this.